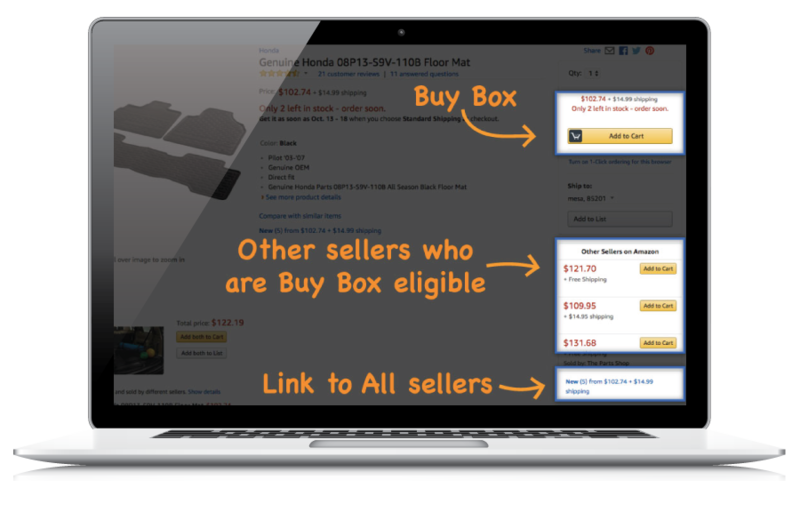 Utmost importance to seller success: Here’s what Buy Box is and how it works. Buy Box has to do with the visibility Amazon gives to merchants selling on the platform. But it is remiss to have a serious conversation about it without first understanding the company’s long standing culture and priorities. In 1995, when Amazon.com launched, its audacious mission was “to be Earth’s most customer-centric company, where customers can find and discover anything they might want to buy online, and endeavors to offer its customers the lowest possible prices.” Today, the company is admittedly ‘customer obsessed’. It’s always been about the customer. 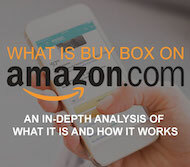 So as we explain how Buy Box works on Amazon, the mechanics of it will make more sense if you’re fully conscious of what’s best for the customer. From there you can almost guess how Buy Box works, if you start with the customer in mind and work backwards. A unique feature of Amazon’s product pages is that multiple sellers can offer the item and compete simultaneously for the sale. There’s no limit on the number of sellers. And sellers consist of two types – Amazon or 3rd party merchants (like you). Because Amazon is customer obsessed, sellers intentionally get uneven visibility. Sellers who offer the best value to customers, per Amazon’s algorithm, earn the best visibility on product pages. Thus the marketplace, for sellers, is a meritocracy. You get paid for performance. The Buy Box is the most prominent CTA (call to action) on the product page that leads shoppers to buy the item. It’s the box located on the upper right hand side of the page with the Add to Cart button inside. The merchant who occupies that box is the “Buy Box winner” and when you click Add to Cart that merchant gets the sale. illustration: Amazon’s Buy Box on a product detail page. What are the ways customers can buy on Amazon, including Buy Box? There are three main ways customers can buy on Amazon, and they’re listed here in order from most visible to least visible. They’re also illustrated in the image on this page. Highly visible box in the upper right corner above the fold with a big Add to Cart button inside. This box located below the Buy Box and it features up to three additional Buy Box eligible merchants. There’s a small Add to Cart button next to each. Below that, you might see a small link for used and new offers. 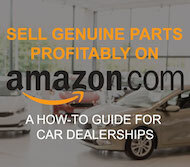 This takes you to a page where you can browse all offers for the item in a list view format with rows for each seller and an Add to Cart button next to each. So, now let’s go back and answer the original question in this article: What is Amazon’s Buy Box? Answered differently: Buy Box is the primary way that merchants get high volume sales on Amazon.com. Learn about Altos Digital’s Marketplace Services. Or contact us for a demo.